It’s October. The cooler temps are here, the leaves are falling, and homes everywhere are decorated for the season. To ring in the season I’ve got a super simple fall craft for you today. I’m talking scissors, glue and paper kind of simple craft. 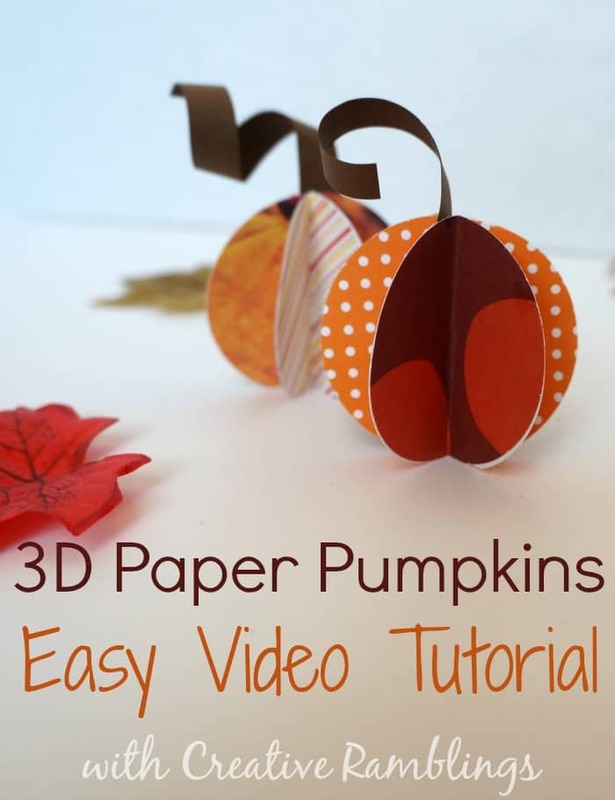 Take a look at the tutorial, and then get to crafting these in all shapes and sizes. They are kind of addictive. Tell me, what’s your favorite fall craft? Follow Creative Ramblings’s board Fall on Pinterest. Oh Tara that would be really cute, thanks for stopping by. I love that you created a video of your tutorial! Awesome job! Pinning! Thank you so much Ashley, I will be back this weekend.